MOSCOW, January 2. /TASS/. 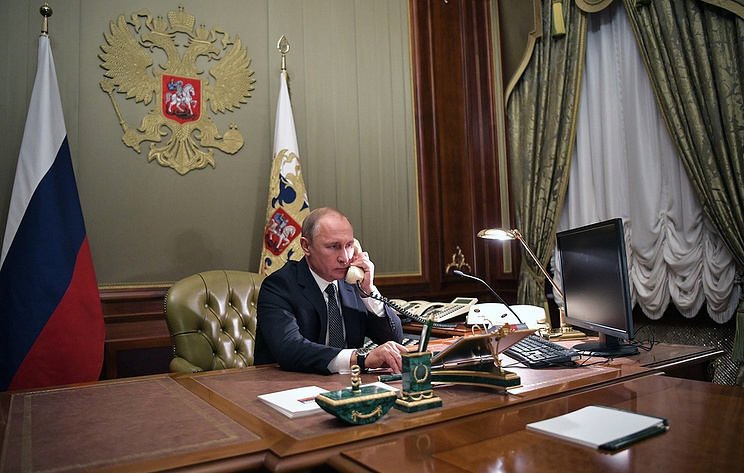 Russian President Vladimir Putin and his French counterpart Emmanuel Macron have held a telephone conversation, discussing the Syria issue, the Kremlin press service said in a statement on Wednesday. Hey Buddy!, I found this information for you: "Putin and Macron discuss Syria issue, Ukrainian crisis". Here is the website link: https://russophile.org/putin-and-macron-discuss-syria-issue-ukrainian-crisis/. Thank you.